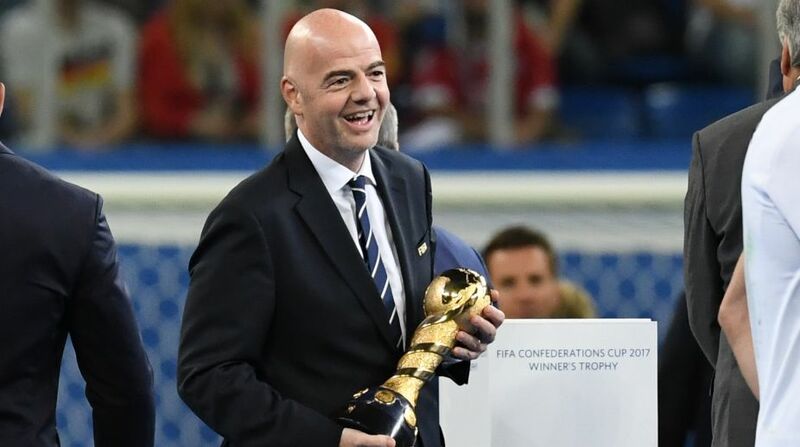 This could be the last Confed Cup in its current format, Infantino has said the competition is under review. Lars Stindl's first-half goal in Sunday's final sealed Germany's 1-0 win over Chile, bringing down the curtain on the 2017 Confed Cup — a warm-up for next year's World Cup finals. This could be the last Confed Cup in it's current format — Infantino has said the competition is under review — but the fortnight-long tournament proved Russia can host a World Cup. “We had been hearing before this tournament about a lot of 'problems' we would experience here,” said Infantino. “If a problematic tournament looks like this one, well, I want to have many problematic tournaments going forward,” he quipped. “Many thanks to Russia – you have been great hosts in the different cities where we have played,” said Loew. The Real Madrid superstar produced three man-of-the-match performances, but left the tournament when Portugal lost their semi-final to Chile — jetting off to be with his new-born twins rather than help beat Mexico in the third-place play- off. The VAR received a mixed reception, but Infantino has described it as “the future of football”. “The VAR is a very positive tool for the sport as it helps referees avoid committing mistakes,” said legendary former ref Pierluigi Collina, now chairman of FIFA's Referees Committee. The system is not error-free — after Chile's Gonzalo Jara elbowed the Confed Cup's top-scorer Timo Werner in the face during the final — a scene reviewed by the VAR — Jara was only booked. “For Russian football, this tournament has been unprecedented in many ways,” said LOC boss Alexey Sorokin. Security was extremely high at all four venues in Moscow, St Petersburg, Kazan and Sochi — seven more will be added for next year's World Cup. With an average of 30,000 spectators per match in the group stages, most venues were around two thirds full — apart from the Russia matches which were played to packed houses. “They say that the Confed Cup is a dress rehearsal for the World Cup. After three weeks here, we can say that Russia has passed that test with flying colours,” said Germany's winning captain Julian Draxler.